Growing up in the United Kingdom, David Skinner, started early at the age of 12 by helping his Father. Being an expert in Wallpaper and Painting along with other skills in the construction field, David's Father began to instruct him and prepare him for his future. At 16 David moved to the United States and was immediately hired by Alexandria Painting. Over the next three years he studied and perfected his primary skills and started learning many more. By 19 years old he had extended his repertoire to include Framing, Drywall, Tiling, Concrete, Electric, and Plumbing just to name a few. Before turning twenty he was offered a position with Artistic Glass of Atlanta in Historic Roswell. After only two weeks of being on the job he was given the Head of the Refinishing Department position. In one short year he made his skills known by starting to correctly and expertly build fine wood doors. By observation only, he was able to pick up on the procedures and designs of excellent doors. After the craftsmen in the mill shop were unable to complete an order for multiple doors, he was able to step in with no prior experience in the construction of doors, and manufactured the required doors with in one days’ time and saved the order for the company. This promoted him to the Head of the Mill shop and the Refinishing for Artistic Glass of Atlanta. Six years of perfecting and refining his new skill set, he also perfected the art of Stained Glass. This moved the company and again promoted him to Production Manager and Quality Control, under only the Owner of the company. At this time any and all projects, from building all the way to installation, went through David. After his stay with Artistic Glass of Atlanta, David continued adding to his skills by including Roofing to his arsenal. With his impressive history, it logically led to David creating his own business. 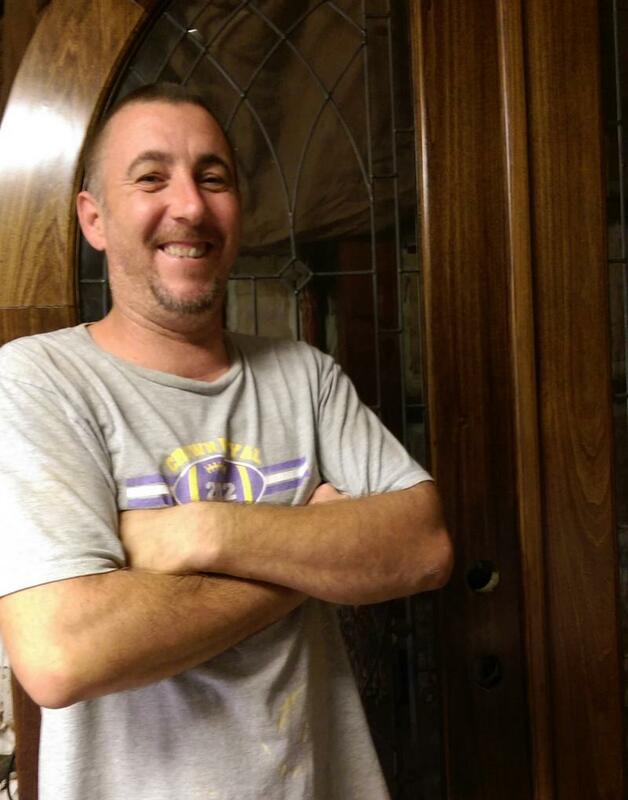 Now, in present day, he has decided to open a brand new company and get back to the one service that he truly has passion for: Refinishing Fine Wood Doors. Let him prove to you that you will never have another worry with your entryways. 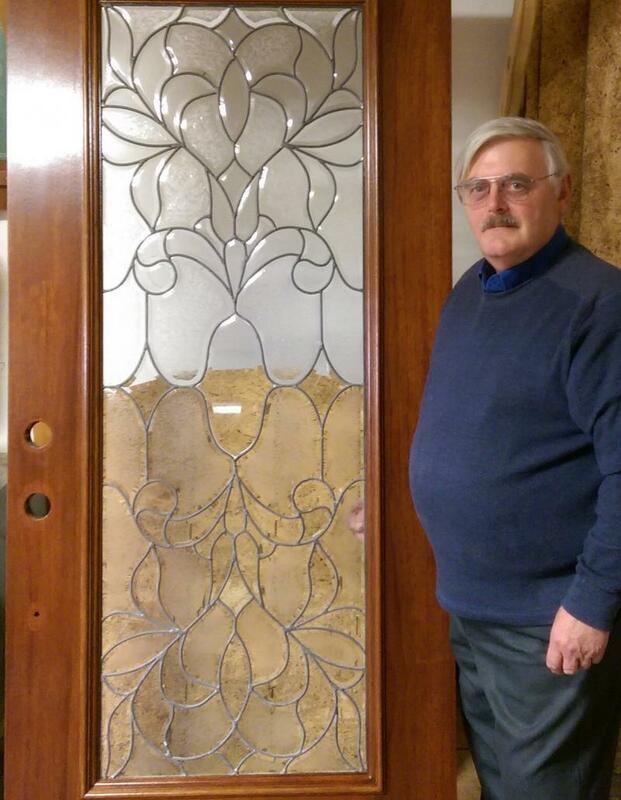 David and his partners are committed to bringing the beauty and glory of fine wood doors back to life. Like my business Partner, I also grew up in the United Kingdom but that is almost the only thing we have in common. I started in the workforce at the age of 16 when I joined an international Rubber goods manufacturer in the Research and Development lab as a junior technician. I learned my skills over the next few years and continued on to higher education achieving a Bachelors Degree in Polymer Science and Technology in Manchester, after which I assumed the role of senior formulator for one of Europe's largest Hose production operations. In 1980 I took a job with English China Clays International (ECCI), a multi-national industrial minerals company, in Cornwall, England where my role was to provide basic R&D and Technical Service support to their global customer base. The years spent in Cornwall were packed with experiences from a high energy professional position while raising a family, running a local Scout troop, a Kayak marathon racing club and professional engagement with the Institute of Materials where I was a founding member and President of the local South West chapter. n 1991 we, as a family, emigrated to the USA to progress my career with ECCI where I held the position of R&D manager, establishing a capability in Polymer Systems for the growing Americas base. During this time I spent 8 years in the corporate Marketing group before returning to the Technology team. Since those early days I have a number of Patents and publications in Polymer and Paint systems and successfully took many new products to market success. After 33 years in the mineral industry I decided to look elsewhere for the future and took early retirement, after which I connected with David Skinner, resulting in formation of the Excalibur Refinishing business venture.